Portland Community College has taken the next steps toward opening a facility near the Oregon Manufacturing Innovation Center in Scappoose. Through OMIC, PCC would connect students with apprenticeships in mechatronics, welding, machining, and computer numerically controlled operations. If approved, the permit would allow PCC to build a 31,000-square-foot facility on the 17-acre property on Wagner Court, east of West Lane Road. Construction should begin by early fall and classes are expected to start a year later, in 2020, if the permitting process goes smoothly, according to Linda Degman, director of PCC's bond program. The design process is already underway with Mortenson Construction and Hennebery Eddy Architects. PCC does not yet own the property, but has signed agreements with the current property owner to purchase the property if the permit is approved. "Right now we only have enough funding to purchase the property and build one building," Degman said. The land and building will cost close to $24 million, using funds reserved from the 2008 and 2017 voter-approved bonds. Building a center in Columbia County was not part of the original plan for the 2008 bond, but the response from community members showed PCC there was a need to invest resources in the county. Compared to PCC's comprehensive campuses, centers like the one proposed in Scappoose are much smaller. "This is not a full-fledged campus," Degman said, "[but] the hope is to be able to offer general purpose classrooms." The initial goal is to "create a training center that can scale up the workforce of the future for manufacturing," said Marc Goldberg, PCC's associate vice-president for workforce development. Companies including EVRAZ steel, JC Custom Machining, Letica, Vigor Industrial and Rightline Equipment formed a Joint Apprenticeship Training Committee (JATC) last year to establish apprenticeship standards. These apprenticeships would "combine related instruction with on-the-job training" Goldberg said. The training center "will be accessible to large corporations like Boeing, but also to small manufacturers who could also sponsor an apprentice," Goldberg said. The model "will work for all size manufacturers, in terms of sponsoring an apprentice and finding talent for their workforce." Offering manufacturing programs for recent high-school graduates is only part of the plan. The center aims to pique interest in manufacturing careers among both youth and adults. Additionally, PCC leaders hope to create opportunities for continuing education for individuals already in the workforce in Columbia County, both in manufacturing and general education. "For PCC to have a footprint in Columbia County, we absolutely plan to offer some general education courses. The bulk of the instruction will be part of OMIC, but we plan to offer, as schedule permits, writing courses, math classes," Goldberg said. 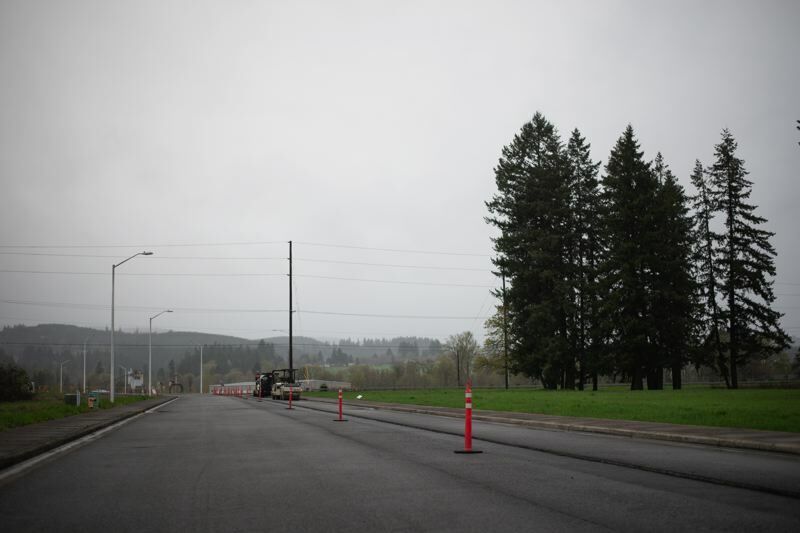 The Scappoose Planning Commission will hear public testimony at 7 p.m. on Thursday, May 9 at Scappoose City Hall.